Wednesday February 13, 201910:00 am | MN Hwy 24 Litchfield, MN 55355. Litchfield, MN. US. LAND LOCATION:�From Forest City, MN, 1/2 mile east on MN Hwy 24, south side of the road. AUCTIONEER�S NOTE:156 +/- acres in Forest City - farmland to be offered at public auction. This large tract cropland has been in the Peters family for generations. Primarily tillable with some good hunting ground. A portion of the 156 acres is tiled. Land has a weighted soil average of over 90! Unique area along the south side of the Crow which is known to have very few rocks. Tillable Acres 120� according to the FSA map but, more could be worked up. TERMS: Ten percent down upon signing purchase agreement, payable by cash or check. Balance due at closing within 30 days. 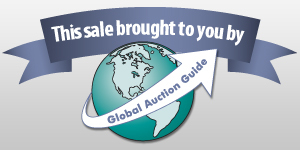 This is a 5% buyer�s fee auction.